December 2014 marks the 20th anniversary of the release of "Sixteen Stone", and to celebrate this landmark album release, Round Hill Records is proud to announce a special 20th Anniversary Remastered 2LP release. Order your copy from Amazon Music today HERE. Featuring hits such as "Everything Zen", "Machinehead", "Glycerine", "Comedown" and "Little Things", "Sixteen Stone" has been remastered in high resolution from the original audio recordings specifically for this vinyl release. This 2LP set features 180 gram clear vinyl, with newly interpreted artwork on a silver metallic embellished gatefold jacket. Two printed inner sleeves feature new, never before seen images of BUSH taken during the "Sixteen Stone" era US tour. This is the first time "Sixteen Stone" has been available on a high quality 2LP set, and comes with an MP3 download card of the remastered audio files. You can get your copy of the remastered "Sixteen Stone" vinyl at your favorite local record store too. 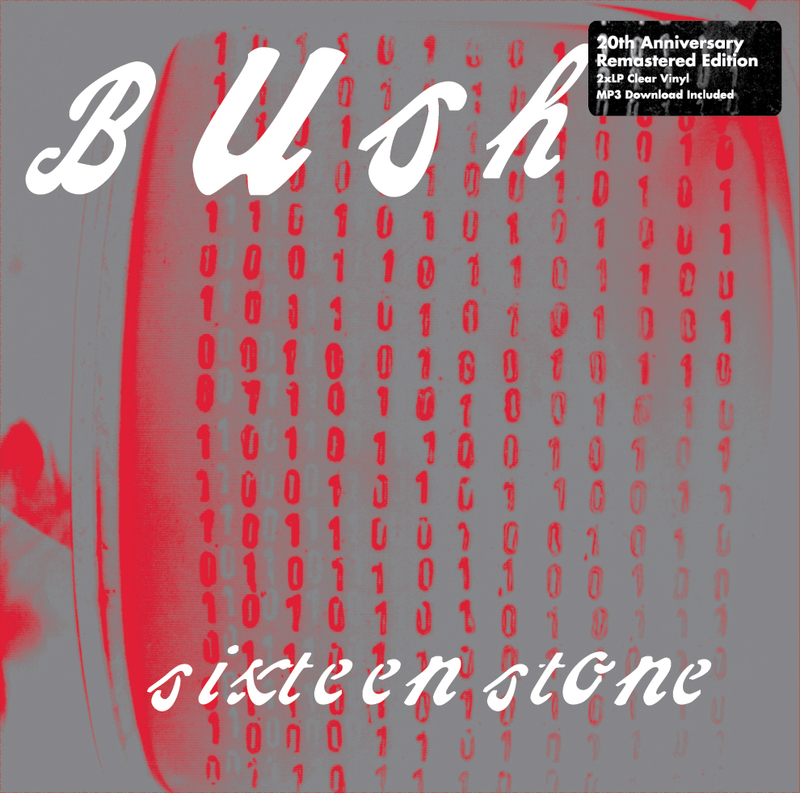 Check out where "Sixteen Stone" is available from Record Store Day HERE. iTunes Music also has the remastered audio for "Sixteen Stone." You can grab your copy HERE to listen now. Thank you for celebrating the "Sixteen Stone" anniversary with BUSH!